Coover's Auto Sales & Service is your one-stop shop for quality used cars. We have a large selection of cars, and trucks to choose from. We also offer vehicle repair and other automotive services. 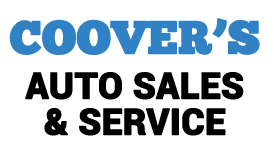 Submit your review of Coover's Auto Sales & Service below.